Did you hear the good news? Costa Fortuna is harbouring in Singapore! For those who want a different kind of holiday experience, cruising with Costa Fortuna will surely satisfy that travel junkie in you. Costa Fortuna, which homeports in Singapore from now until 26 February and back in December 2019 – March 2020, is an entertainment ship which can accommodate over 2,700 guests for up to nine nights of journey. This voyager will depart from Singapore and travel to historic places like Penang and Melaka in Malaysia, as well as Phuket and Laem Chabang in Thailand. The glorious 102,587-tonne cruise ship houses 1,358 state-of-the-art cabins and numerous lush facilities such as over eight restaurants and bars, a fitness centre with a swimming pool Jacuzzi and water slide, a grand ballroom, theatre, disco and more. This newly renovated voyager has been transformed to utmost perfection, bringing entertainment to a whole new level, catered to every guest. Costa Fortuna is seen to further enhance Southeast Asia’s appeal as a cruise destination. With its introduction of new services to guests – such as Pizzeria Pummid’Oro, Bar Amarillo, My Moments photo shop and a retail shop just for Costa-branded clothing and accessories – boredom is never a word inside Costa Fortuna. If you’re an art and history aficionado, Costa Fortuna isn’t called “museum at sea” for nothing. It houses exquisite antique pieces and recreations of artworks on display for your eyes to feast on. Costa Fortuna is sailing on two different one-week itineraries departing from Singapore to discover Thailand, Malaysia and Cambodia. Visit Thailand’s Koh Samui and Laem Chabang and Cambodia’s Sihanoukville or visit Malaysia’s Langkawi, Penang and Port Klang and Thailand’s Phuket. Or if you want to visit all of these magnificent and storied places, you can combine your trip into a magnificent 14-night cruise! After docking back at mainland Singapore, why not tour of Sentosa Island that is within close proximity of the harbour? If you are pressed for time, you can discover this island all in half a day. Start your tour on a scenic cable ride into Sentosa Island, and enjoy a hearty meal at Tanjong Beach Club. Meet the iconic Merlion to snap that Instagrammable picture and end off your quick tour of this island at the Madame Tussauds Singapore. Inspired? Go to www.visitsingapore.com to start planning your perfect short itinerary. With a 7-night itinerary starting from just USD359.00 per person, including port charges (internal cabin, cruise only – prices may vary based on cabin category and departure date), are you ready for a luxurious sea journey on board a luxury cruise? 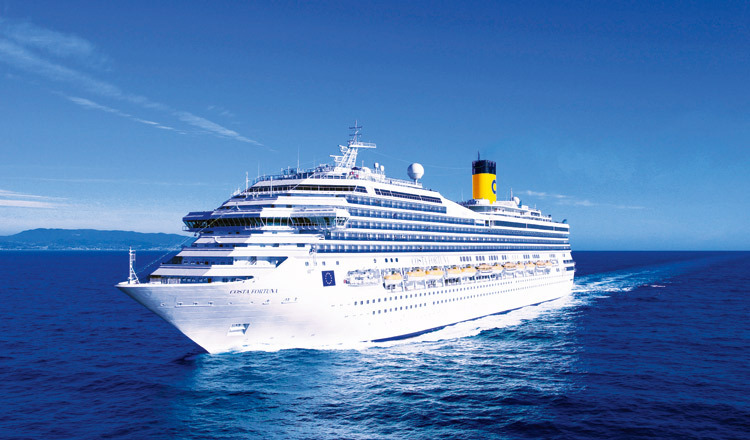 Visit www.costacruisesasia.com/aus/costa_fortuna.html to book your journey today!